Be the first to share your favorite memory, photo or story of William Daniel. This memorial page is dedicated for family, friends and future generations to celebrate the life of their loved one. 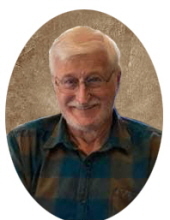 William Daniel “Danny” Blevins, age 80, of Cranston Road, Morehead, passed away Saturday, March 23, 2019, at Cabell Huntington Hospital in Huntington, West Virginia. Born October 11, 1938, in Rowan County, he was son of the late Everett and Edna Sluss Blevins. He was also preceded in death by his sister, Mavery Blevins Riggs. Danny is survived by his wife of almost sixty years of marriage, Ruth Skaggs Blevins; seven children and their spouses: Danny, Jr. and Rhonda Blevins of Morehead, Dowe and Pam Blevins of Morehead, Dana and George Caudill of Morehead, Donna and Chris Oakley of Olive Hill, Darren and Amy Blevins of Morehead, Derrick and Emily Blevins of Morehead, Darla and Eric Lewis of Hillsboro; 16 grandchildren: Will, Lee, Kayla, Neenah, Brittany, Tyler, Summar, Christopher, Arlie, Brooke, Jazlyn, Tucker, Grayson, Toby, Macy, Silas, and another little one on the way, Gus. He also leaves behind numerous nieces and nephews that he loved dearly. Danny was a retired carpenter and cement mason. He worked construction for Packs for many years and before that he was a union cement finisher. Danny was the former Director of Public Works and Building Inspector for the City of Morehead and helped construct several buildings around the Morehead State University campus. Over the years, he raised funds for Route 377 Volunteer Fire Department by designing several Hardwood Festival contest-winning floats. Along with his wife Ruth, he was a member of the Rowan County Historical Society and assisted in the preservation of community cemeteries and historical buildings. While his children were in school, Danny was an enthusiastic and influential member of the Tilden Hogge Elementary School community, where he coached the Tilden Hogge Mets and was on the Pack Committee for Cub Scout Pack 398. He will be remembered fondly by many in the community and will be greatly missed by his family. Funeral services will be held 1 p.m. Tuesday, March 26, 2019, at Northcutt & Son Home for Funerals Memorial Chapel with the Rev. Ronnie Riggs officiating. Burial will follow in the Hogge Cemetery. Danny’s children will serve as pallbearers. Honorary pallbearers will be his grandchildren and Matt and Rick Sparks, Karen Devaney, and Bob and Bill Parish. Visitation is 4 p.m. to 9 p.m. Monday, March 25, 2019, at Northcutt & Son Home for Funerals, 400 Fraley Drive, Morehead, KY 40351. Memorial contributions are suggested to the Cranston Cemetery Association, c/o Roy Brown, Treasurer, 15 Debord Branch, Morehead, KY 40351. To send flowers or a remembrance gift to the family of William Daniel "Danny" Blevins, please visit our Tribute Store. "Email Address" would like to share the life celebration of William Daniel "Danny" Blevins. Click on the "link" to go to share a favorite memory or leave a condolence message for the family.